Salt Lake area is mostly condos with some SF homes around the golf course. All of these areas are within a few minutes to the airport, Pearl Harbor and Hickam Air Force Base. 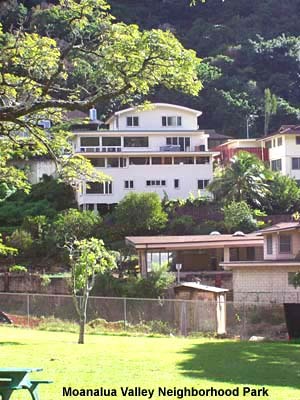 Moanalua is an area of homes on either the valley or along the mountain-side. Foster Village has a recreation centers, with its own pool and playground. Aloha Stadium is close by, also a large shopping center and Tripler Hospital. Moanalua – Salt Lake is a combination of two residential communities. Moanalua is a valley located nearby to the Honolulu town. At the valley, there is a long stream. The Moanalua valley stretches from the area behind the crater to the Koolau mountains range. The Salt Lake is located on the south of the valley. The area in the east is the Fort Shafter. On the west side of the valley, you will find places such as Red Hill and Halawa Valley. Samuel Mills Damon from Princess Bernice Pauahi Bishop inherited the land in Moanalua in 1884. Damon sold most of the land to the commercial developers in 1956. Moanalua has a botanical garden called Moanalua Gardens. 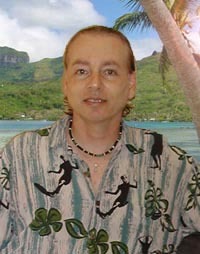 Damon originally established Moanalua Gardens. Salt Lake is a suburban neighborhood in the downtown area of Honolulu. The area nearby the crater in Salt Lake is called Aliamanu. In the Hawaiian language, Salt Lake is called Aia paakai. Alia paakai is referred to salt pond. The Salt Lake community was originally established in 1960s. It offers an extensive view of the scenery in Honolulu. From Salt Lake, you can observe the sugarcane community in Oahu. Around the freshwater lake, you will find plenty of houses. Both Moanalua and Salt Lake belong to the 15th District. The state senator called Glenn Wakai represents the suburban community. The Moanalu – people in the upper middle class occupy Salt Lake district. Many Europeans and American live here. There are also many 3rd generations Japanese, Philippines and Korean living in the community. It is estimated that there are more than 30,000 people living in Salt Lake. The median household income in Moanalua – Salt Lake is $875,000. The statistic report of the United States Census Bureau is the 8th wealthiest neighborhood community in Hawaii. The local high school is the Moanalua High School. There are also other schools serving this community including Iolani School, Aliamanu Middle School, Saint Philomena Early Learning Center, Radford High School and Punahou School. You can buy all the daily items at the shops in Salt Lake Shopping Center. There are many types of shops at the Salt Lake Shopping Center including Longs Drugs store, Mc Donald store, and Safeway grocery store. The Salt Lake District Park is the largest park in the community. The hiking trails in the Salt Lake District Park will lead you to the Aliamanu slopes and craters. Listing courtesy of Clayton Properties. Listing courtesy of Pacific Luxury Homes.